It has been our pleasure over the years to work with some of the best and brightest businesses across Yorkshire and the North of England. Below, you will find a list of some of the companies we have worked with, and the work we do. 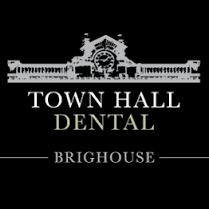 Discourse have worked with Rachel and the Town Hall Dental team for some time, and have used a variety of our services. As marketing consultants, Discourse have helped coordinate a number of activities for Town Hall Dental including a website redesign, radio advertising and branding. Our assistance with their offers and social media management has helped boost online enquiries by 400%. Our copywriting team have produced e-books and numerous blogs for Town Hall, and they have been featured in local news publications including The Halifax Courier and Huddersfield Examiner providing in-depth interviews and updates on their work. Since working with Discourse, Town Hall Dental have won and been shortlisted for numerous awards. They have been recognised as providing the premier dental care in the North of England and are up for Practice of the Year at the national 2017 Dentistry Awards. Discourse worked with Darren and the team at Ludbrooks to launch and promote their drone surveys and house tours. A first for West Yorkshire, Discourse sourced professional filmmakers to create the short films, and received coverage and acclaim from the Yorkshire press. Discourse worked with Ludbrooks throughout their peak season, ensuring they had a constant presence in the media through birthday celebrations, growth milestones and more. A one-off ‘Halifax from the Sky’ publication was distributed by the Halifax Courier to coincide with the Ludbrooks drone launch, showcasing the brilliant views of Calderdale from the air. Discourse worked as public relations agents to help launch the Manchester Fencing Centre, the largest centre devoted to the sport of fencing in Europe. Working with Stuart and the team, The Manchester Fencing Centre received recognition and publicity from numerous publications including the Manchester Evening News, and continues to grow and inspire the next generation of British athletes. Discourse helped launch, and are the official sponsors of, The Room at Town Hall. Working with Discourse, The Room has been featured in the press promoting their executive conference and event space. Discourse also produced the content for their website and promotional materials. Despite only been founded in recent months, The Room has already won awards for the use of the space, and is recognised as one of the premier event spaces in West Yorkshire. Discourse act as copywriting partners for Digital Renovators, an exciting and innovative web design agency based in Halifax. Working with the team at Water Compliance Solutions, Discourse was responsible for their outbound communications, marketing and web content. As well as sourcing new customers, Discourse created a weekly newsletter bringing important information to relevant audiences about Legionella and work of Water Compliance Solutions. In addition, the copywriting team at Discourse produced a weekly blog, featured on their website and shared on social media, to improve their web presence and increase their page rankings.